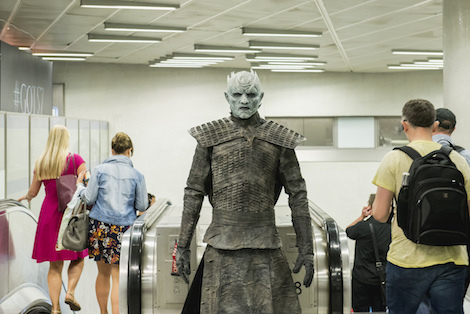 We’re told that Exterion Live will enable Exterion to build innovative, integrated advertising and experiential campaigns on the TfL Rail estate, such as the recent Game of Thrones activity for Sky Atlantic at King’s Cross St Pancras Tube station, which was developed through Hello London – the media partnership between Exterion Media and TfL. This entry was posted on Friday, August 11th, 2017 at 07:02 @335 and is filed under DailyDOOH Update. You can follow any responses to this entry through the RSS 2.0 feed. You can leave a response, or trackback from your own site.